Financial literacy, the ability to understand the value of financial management and how credit works, is one of the most important skillsets individuals will need over their lifetime. Through financial literacy, individuals and families will be able to better manage their financial lives and build assets for life events including buying a home, creating savings, building an emergency fund, and financing their child’s education. Additionally, children will learn the value of financial literacy by watching their parents’ actions and build financially responsible habits. Recent studies indicate that 44% of Americans go to their family members for financial advice, 28% have no one to talk to, 7% talk to their friends, and 6% chose other. Given the financial disparity in working and middle class families, particularly people of color, Centro Campesino decided to actively invest in our community by infusing financial capability in our lines of business/programmatic actions. On Sept. 21, Centro Campesino, in partnership with TD Bank (America’s Friendliest Bank), hosted a community financial literacy event. 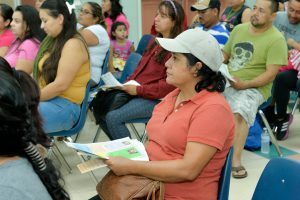 Over 80 community members were able to about, how it affects their daily life, and the benefits of improving their credit score throughout time. 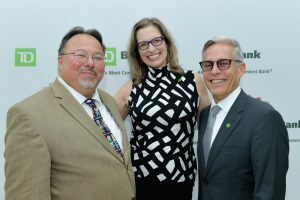 TD Bank unveiled their new financial literacy platform, EverFi, in Spanish. It uses modules to teach participants about the value of credit, budgeting, savings, and interests; the program is available in both Spanish and English making it accessible to the growing Hispanic-Latino population. We thank TD Bank for their partnership and support; we’re thankful for the two tablets TD Bank donated, which will be used in ongoing financial education initiatives.